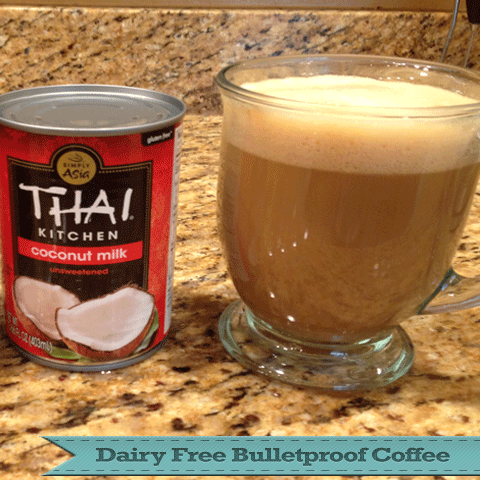 When you look on the many recipes for bulletproof coffee available online there is only one thing that all have in common: adding fat to the coffee and most of them use cream. I am lactose intolerant so I had to come up with my own recipe. 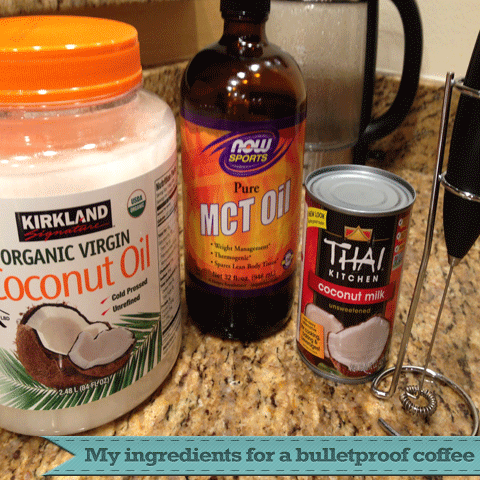 I use coconut oil, unsweetened coconut milk, MCT oil and coffee. I drink it in the morning and it helps me stay satiated and I can do intermittent fasting without a problem. Also, by drinking it I know that I am consuming enough fat for the day. I also like to use a milk frother (this is a link to amazon from where you can buy it) so the fat doesn't stay on the top of the cup and instead creates a nice foam. Put all the ingredients except the boiling water in a large coffee cup (use the one that you like best) . Add very little hot water - just enough to dissolve the coconut oil. With the help of the milk frother create a foam to emulsify all the ingredients. Top the cup with the hot water and enjoy. Note: If you cannot find the ingredients for this recipe in your local grocery store, you can always buy them from the internet. I like to order a large amount of coconut milk (24 cans) and a few bottles of MCT oil - I get a better price for shipping and I always have in stock at home. When the level of the inventory goes down - order more. If you choose to use different ingredients - you are free to do so, just make sure that they are unsweetened and do not contain additional unnecessary ingredients.